Sleepy plants are slowly waking up, uncertain of the sun and warmth. 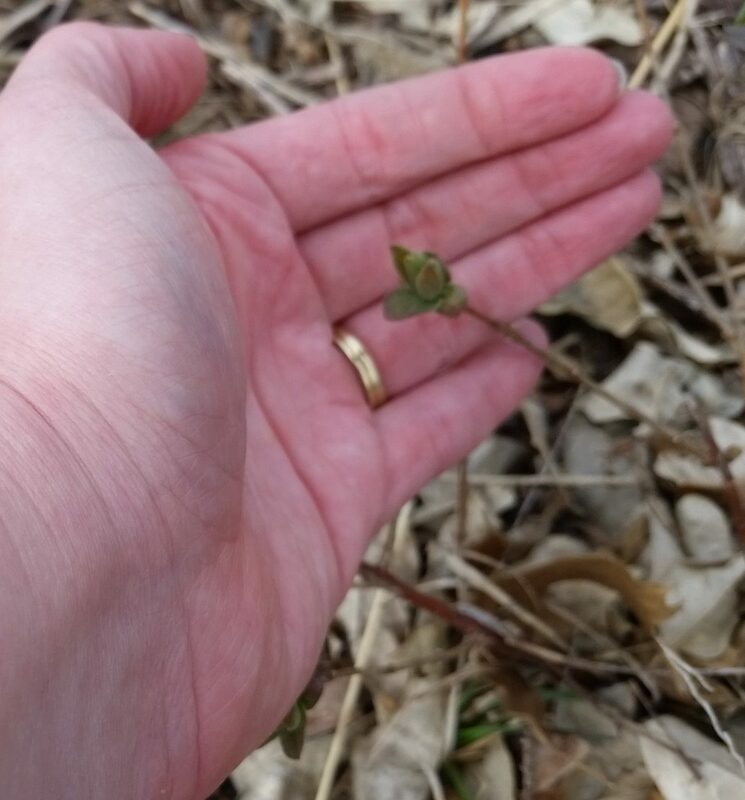 The boys and I took a walk around the property today hoping to find green leaves and buds blooming. 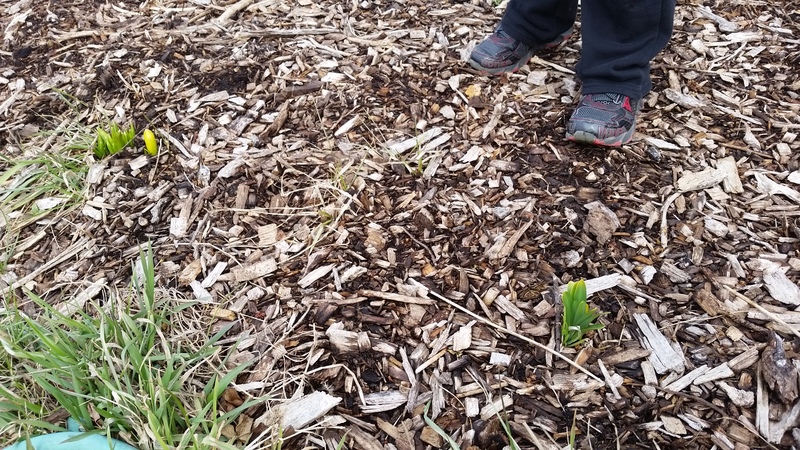 Easter lilies were peeking up through the mulch. We dug these up at Ray’s grandma’s house and brought them to the homestead a couple of years ago. I didn’t think they’d make it that first year, but they surprised me and have come back stronger every year…putting up with all kinds of abuse from cats, kids and lawn mowers. Strawberries were spreading under the roses. We missed the main part of the season last year. We were vacationing in the Smokies. But they didn’t go to waste! Ray’s dad got a few gallon bags for the freezer. 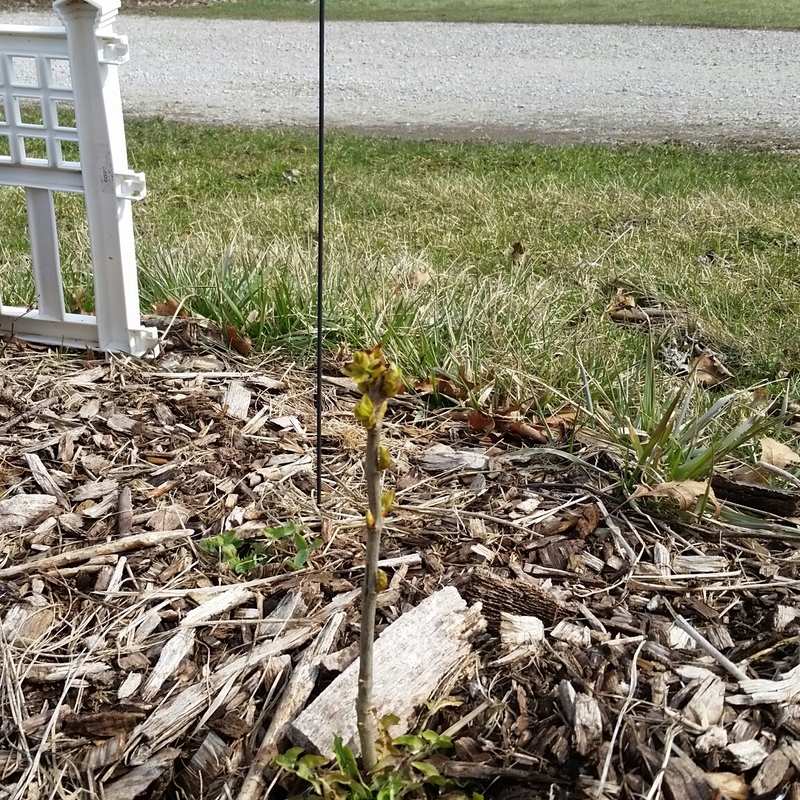 The lilac bush I planted several years ago has the more growth on it than it has had in the past two seasons. 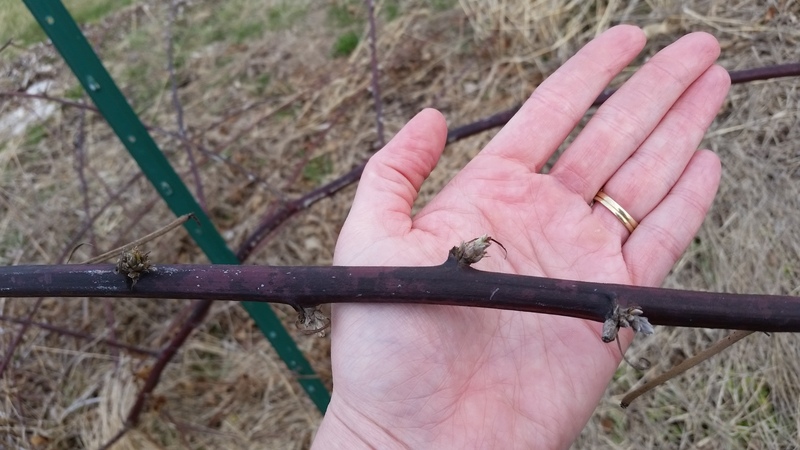 The blackberries have buds on every vine. They have been loaded down with the delicious fruit for the past two years. I still have a few gallon bags in my freezer just waiting to be made into jam or cobbler or sauce. The aronia bushes are all covered in tiny black buds. We have a couple of volunteer runners from this one, so we may try to move those back to the swale. 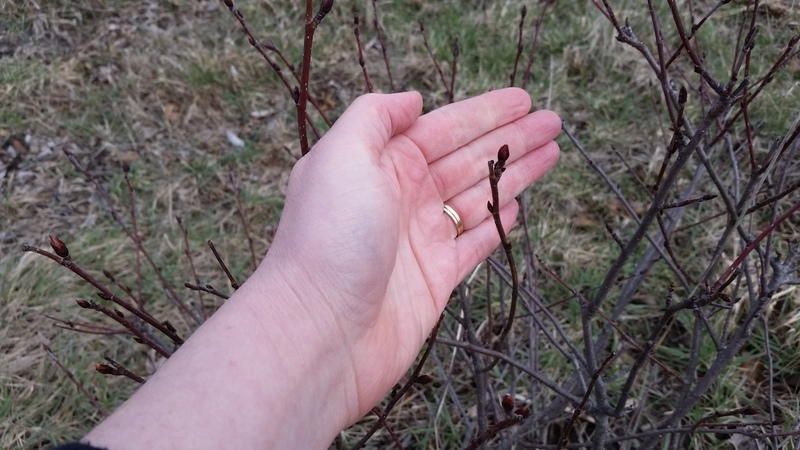 All three honeyberry bushes have dusky green leaves starting to bloom. I am really hoping we get fruit from at least one of these this year. 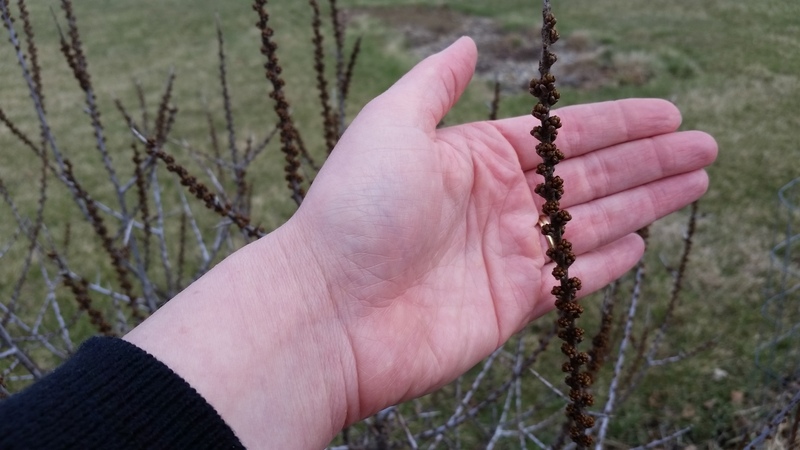 There are seaberries everywhere. I counted at least 5 volunteers while we were out scouting the fedge. We’ll need to transplant these to the swales this year too. And of course, the most exciting awakening…the chicks are hatching. Since this morning, we’ve heard a few cheeps coming from this one. The boys are beyond thrilled. Joe checks on them at least once every 30 minutes. 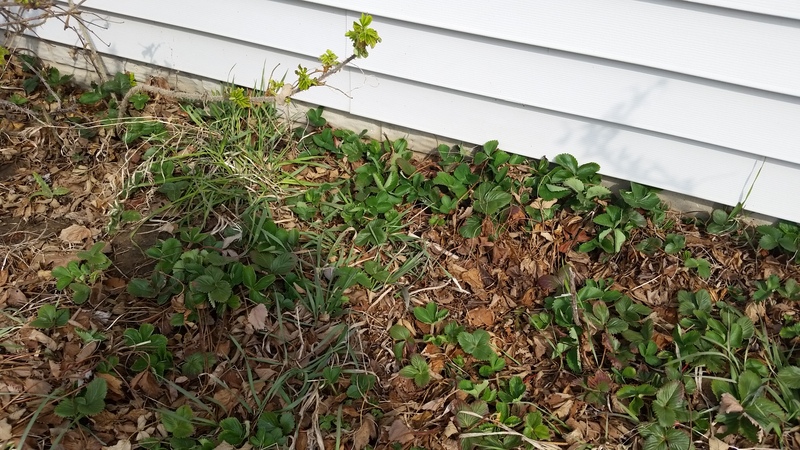 This entry was posted in Garden Stories, Garden Stories, Poetry, Writing. Bookmark the permalink.